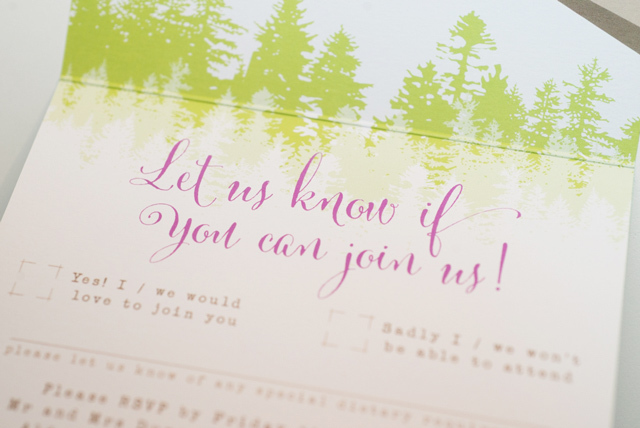 It may be a rainy mid-January day, but today we’re looking forward to a far sunnier springtime with these fold-out invitations! 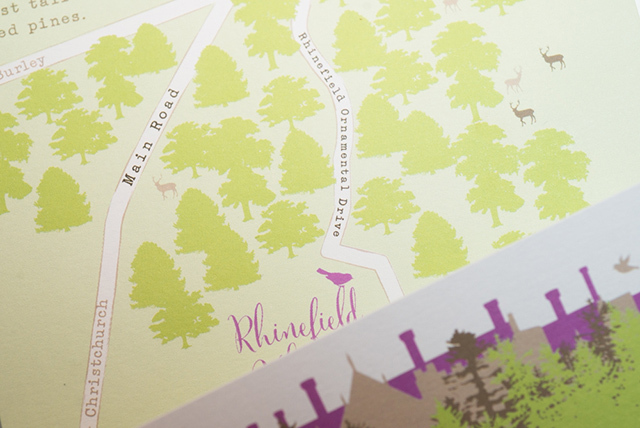 Lisa & Kevin are getting married this spring at Rhinefield House, a grand Victorian lodge-turned-hotel hiding deep within the woodland of Hampshire’s New Forest. Lisa already had a great Pinterest board on the go packed with fresh, zesty lime colours, pale crisp apple tones and woody neutrals… all offset by splashes of bright, floral tones. 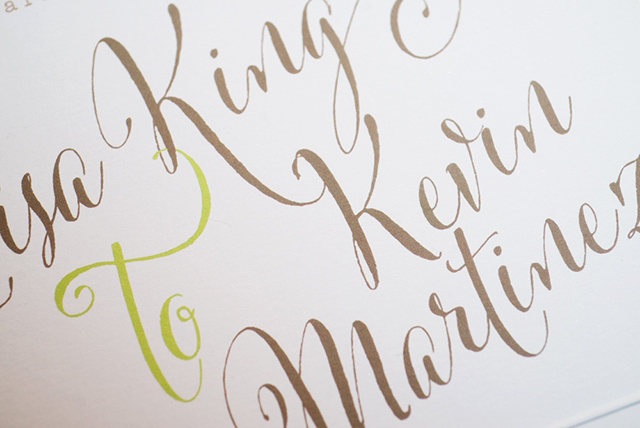 This gave us a suitably spring-like colour palette, around which I based the design. Rhinefield is such a distinctive building I wanted to feature it somehow in the design. The rear of the hotel is a Victorian riot of turrets, peaks and chimneys rising over the striking ornamental pond, hidden from view by the tall pines of the surround woodland. 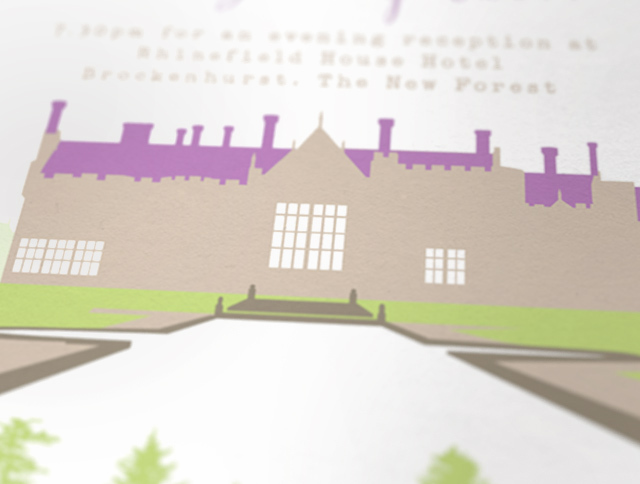 This is carried across to the invitation, revealing a stylised version of Rhinefield once the tree-covered outside of the invitation is unfolded. 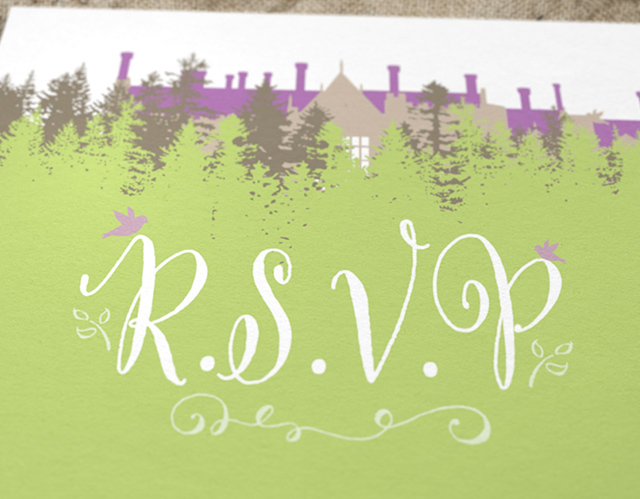 The remaining sides of the invitation were finished off with a detachable RSVP slip, and a map of the surrounding location. Take a look at the finished product below! 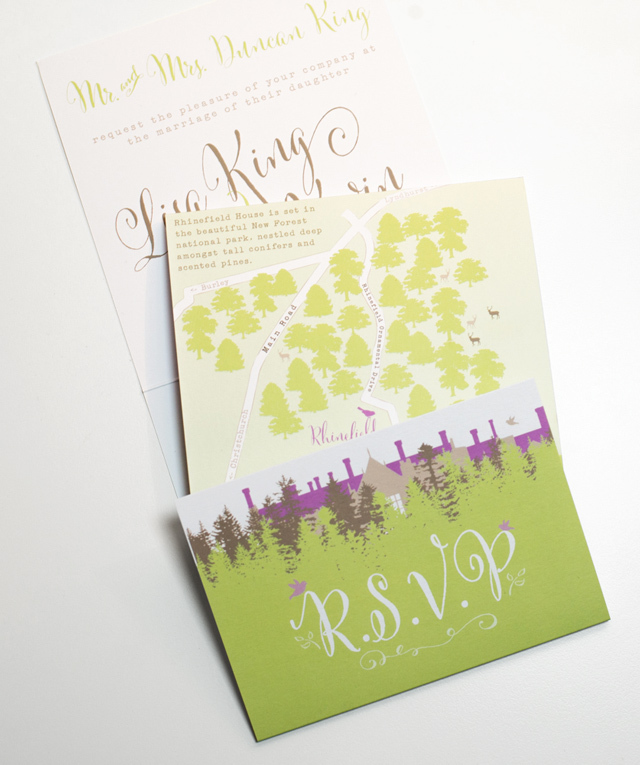 Thanks so much Ian, we love the invitations and have had some great feedback on them! Look forward to the rest of the stationary!